Civic Engagement: What is it & why is it important? What is civic engagement? How can you engage and empower people in your communities? Explore the idea that civic participation is not just important, but imperative for a community to be successful. Learn and reflect on how being an “engaged” citizen can play a meaningful role in discussions, decision-making and the implementation of projects and programs that take place within our schools, city councils, neighborhoods, polling places, and more. Join us for a FRANK Talk on civic engagement. 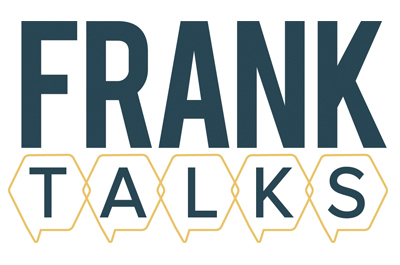 FRANK Talks are free, thought-provoking, expert-facilitated discussions on important issues facing our communities.